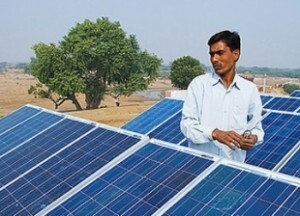 Indian distribution utilities as well as large power aggregators such as SECI have frequently come under criticism for cancelling solar auctions or renegotiating the signed PPAs for solar power. The developers and investors say that this damages the investor interest by introducing uncertainty in the whole process of investing in solar power plants. However, what has actually happened is that every time that these entities have retendered the solar bids, they have found lower prices resulting in savings of hundreds, if not thousands of crores of money for their consumers. One factor is that solar prices have been falling rapidly resulting in lower prices most of the times if you move the time period forward. The other has been the intense competition where developers manage to lower prices in order to win these very large projects. Uttar Pradesh has become the latest state to find that it has shaved off approximately 10% of the power cost by cancelling its 1000 MW tender in July and retendering after four months. This is huge in terms of savings as these 25 years PPAs involve the expenditure of large amounts of money over a very long time period. While the earlier tariffs had come at INR 3.5/kWh, this time the tariff has come around INR 3.2/kWh. This despite the fact that a safeguard duty of 25% has been imposed on imports of solar panels and the interest rate has increased with the rupee depreciating. You would have thought that the prices by the bidders would have increased instead of decreasing but this has not been the case. This tender puts to rest the two myths. First one is that the tariffs will increase dramatically with the imposition of the safeguard duty on imports of solar panels and the second one is that retendering destroys investor interest. There was enough interest from large developers and price also fell. SECI has also come under criticism for cancelling a 3000 MW tender where it found the prices too high. The power minister later wrote they had cancelled as they thought that large developers had formed a cartel leading to an increase in prices. Let us see what the result of the new 3000 MW tender will be.